In 2k18, the most used buzzword in social media is “live video”. In about 2/3 years people have moved from “selfie” to “live video”. Facebook has updated their site and designed it as video friendly. The second hot word is “Youtube”. It has become so much popular that people are losing their interest in the satellite media to this online media. As the interest of people is flooding towards “video”, the marketers are focusing on providing more “video” based utilities as per peoples interest. The WWW market is not so different. People are looking for more and more website template having video supports to make or renovate their sites more beautiful, informative and gorgeous. 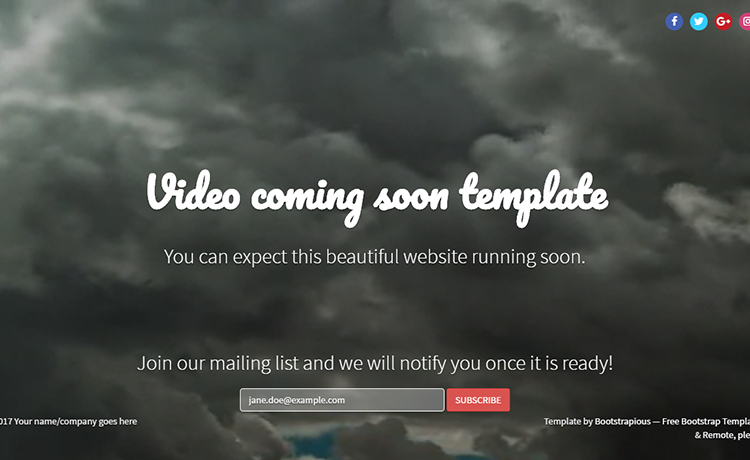 Even “You” are looking for a nice HTML5 Bootstrap Video Background Template too. Otherwise, you wouldn’t be here now. 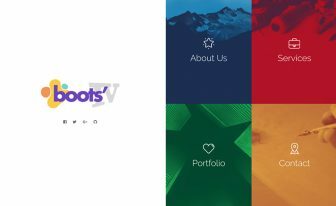 Why should you look for an HTML5 Bootstrap Video Background Template? It is said that “The first impression is the best impression.” It is true for HTML5 Bootstrap templates also. With the increasing importance of latest technologies in today’s templates, the importance of good look, better UI and attracting layout providing all information is necessary too. To meet this need, designers are creating more and more ideas. There are full-screen image backgrounds, sliding background, parallax background and now the latest trend is video background. Recently the most dominant header variant is video. People are making sites with single video sections. Videos can be and are used along with a still image or sliding headers too nowadays. But why is it getting so much popularity than everything? The main reason behind that is videos can exhibit thousand times more information than a single image or 100 line of paragraph can, in a better way obviously. Besides, videos add more design beauty in a site with better UI. 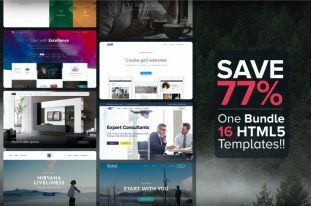 So, to ease your search for the best quality HTML5 Bootstrap Video Background Template, here is a detailed list of 23 best HTML5 website templates supporting video background.Some of them are premium and some of them are free, but a common thing in them is – they all are of best quality. 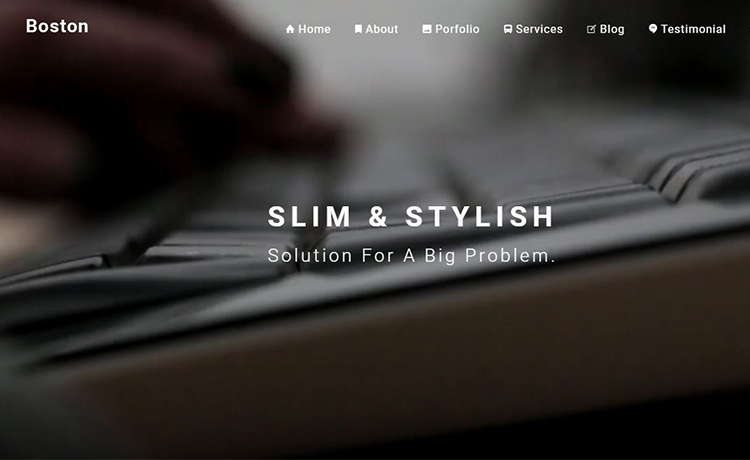 There are 6 Responsive Premium HTML5 Bootstrap Template with video background in this post. You can get them if you are interested. After the first release of Bootstrap 4 alpha, Themwagon Team spent more than 6 month to design Posh. This beautiful multipurpose HTML5 Bootstrap Video Background Template comes with enormous niche variations as well as layout variations. It includes 76 HTML file of 174 built-in layouts. The most amazing feature of this multipurpose template is thousands of responsive CSS helper classes, which means you can design large beautiful webpages with writing minimum CSS codes. It includes 32 sets of components that add extra value to the design and feature of this website template. 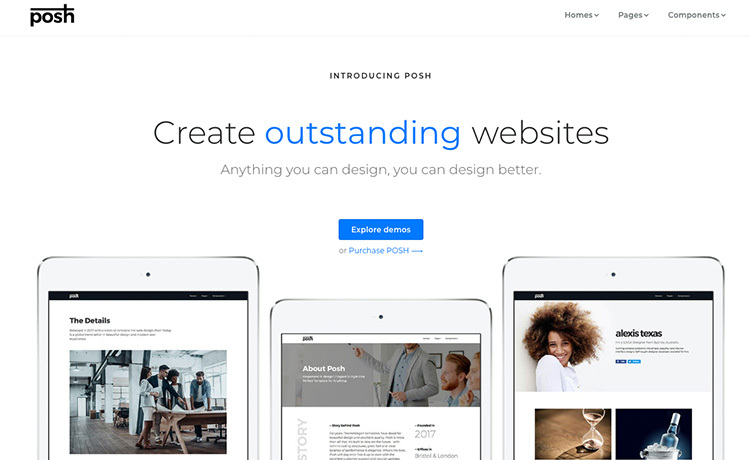 Posh has two kind of video support – Self hosted video (means you can use your custom video) and Youtube video(means you can use youtube videos) and these can be used in header variant as well as in page section layouts. It also includes 2088 premium icon set from Iconsmind. This wonderful template costs $69 for single license but you can get unlimited license for Posh at only $99. Browser support IE11, Microsoft Edge, Chrome, Safari, Mozilla, Opera, mobile browsers & more. In the previous section, we introduced you with a multipurpose HTML5 Bootstrap Video Background Template which is premium. Now, here is another Multipurpose template supporting video background with multi-page and one page feature. It is Titan. Now, what are the differences between these two? Is Titan better or Posh? That decision I am laying on you. But one thing I can say is, Titan is a free template having more useful and premium like features than other free templates. Yes! You can use Titan as agency and business, portfolio, restaurant, finance, landing page, photography, e-commerce, and blogging website. It has 5 Background header variant each having two styles which make it a 10 header variant package. It has many pages like about, pricing, restaurant menu, FAQ, Login/Register, Error 404 page, etc. It supports a total of 24 Portfolio style including Boxed, Boxed-gutter, Full width, Full-width gutter, Masonry, Hover style and single layouts. It also has 4 Blog layouts like standard, grid, masonry, and singles each having different styles. 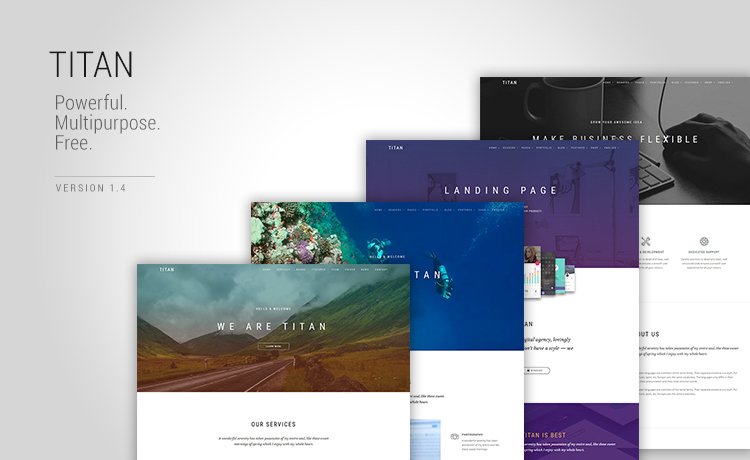 And as I’ve said earlier, Titan is a fully free, responsive, HTML5 Bootstrap Video Background Template. This awesome template with enormous features has been designed and developed by Themewagon. The most searched niche category for website template is business/startup/agency/consultancy and the search for a good quality business or agency template never ends. That’s why the team Themewagon has renovated their epoch-making agency website “Elixir” in a new fashion with cutting-edge technologies like Bootstrap 4 beta and so on. Elixir comes with 8 header variant including self-hosted and youtube video support. 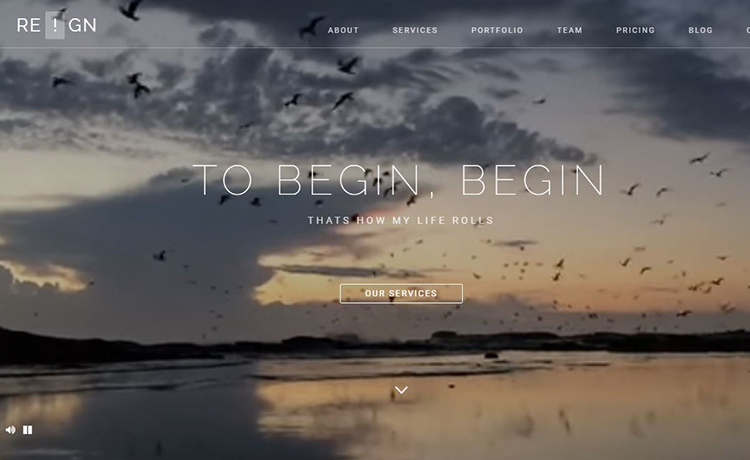 This HTML5 Bootstrap Video Background Template can be downloaded for only $39. So why delay? 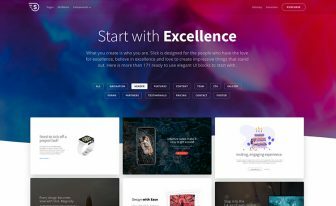 Get Elixir and start you r agency or business site today. At the beginning of 2k18, the team Themewagon introduced us with a stunning resort/vacation planner template. 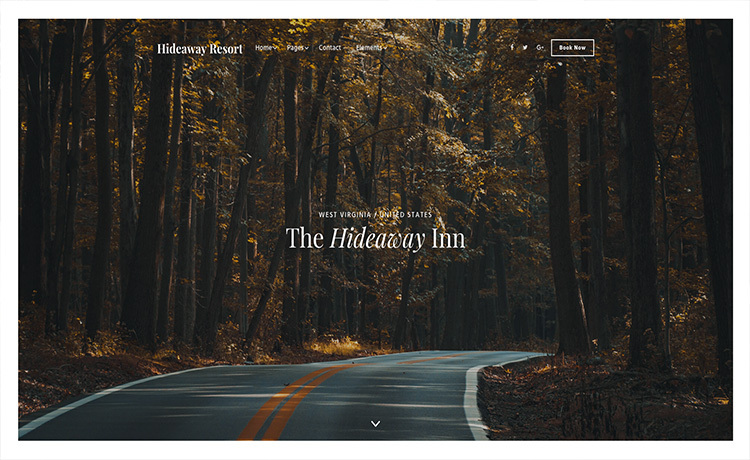 This gorgeous template, Hideaway is fully designed using the Bootstrap 4 and is entirely customizable. This template has 8 header variation and obviously, video background (self-hosted and youtube both) is included. Though Hideaway is a top notch quality HTML5 Bootstrap Video Background Template specially designed for holiday resort, inn or hotel, you can customize it to build your small startup agency or business. Hideaway costs $39 for a single license but comparing to the features and possibilities you get with Hideaway; this is perfect. Like he goddess of love and beauty in Greek mythology, Freya is a Bootstrap 4 template with utter beauty. It is mainly designed as an interior design webpage template, but with easily customizable CSS helper classes you can redecorate Freya in any way you want, for any website. Freya has the support for video background which you can use in the header section or even in inner layouts.This lovely beautiful template has smooth animation that makes it more wonderful. 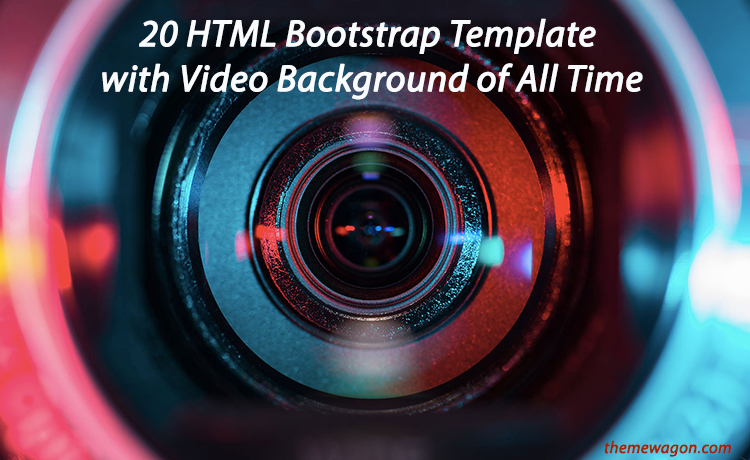 This HTML5 Bootstrap Video Background Template is licensed for $39 only. If you want more visitors to your site, you need to touch their emotions with your page. Considering this, Themewagon people made Baikal, a Bootstrap 4 based HTML5 template with enormous cutting-edge features. Baikal represents peace, softness of mind, calmness. It is a small agency template that you can use for your small agency or business organization. It obviously supports video inside it like other latest templates. 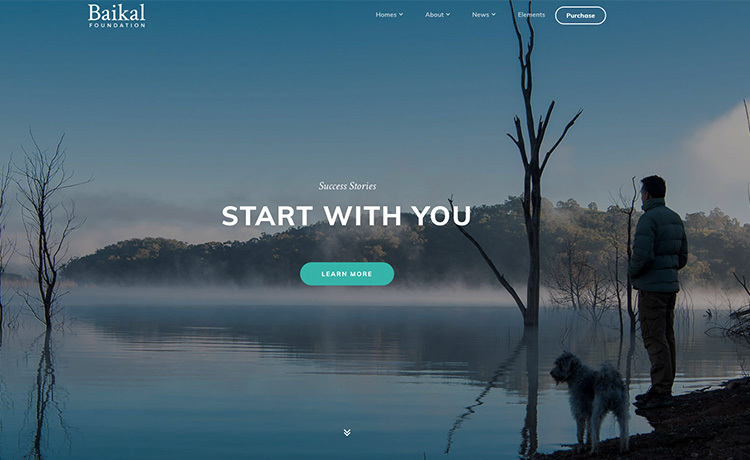 You can get this HTML5 Bootstrap Video Background Template for $39. 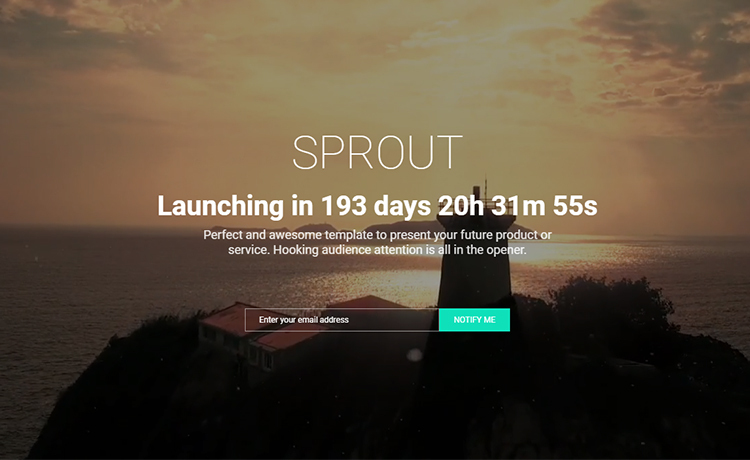 Sprout is another free HTML5 Bootstrap Video Background Template designed by Themewagon. It is a coming soon template with 4 background variants including video, slider, image and ken-burns background. It comes with a countdown timer showing the time of launching and an email newsletter. 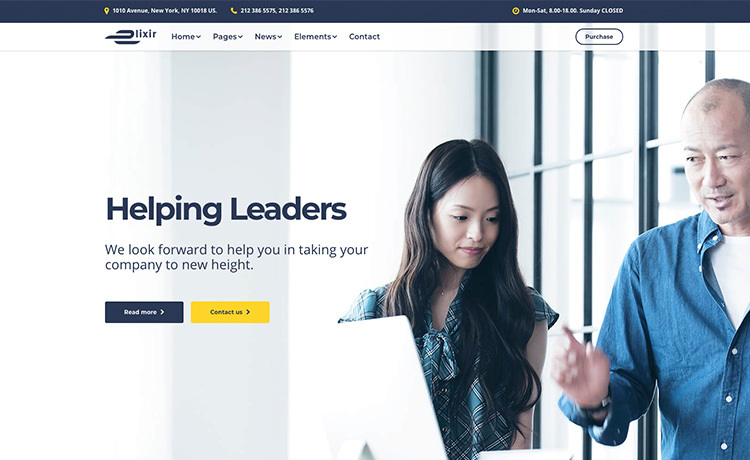 Make your educational website more lively with Schooling – an HTML5 Bootstrap Video Background Template by W3layouts. It is an education school category template with a free license. It comes with a video background header that makes the visitors mesmerized. All this magnificent design shaped out from coding with HTML5, CSS3, and Bootstrap Framework. The usage of Flat icons and super cool Hover Effects is a visual treat and much-needed attribute for an Education Category Responsive Website. Mountain is a premium template from Themewagon team. It is a multipurpose creative template that has various home style including video background, split cover, text rotator, carousal and gradient. This premium HTML5 Bootstrap Video Background Template has a good number of pages with different layouts from which you can choose the best one for your website. It also comes with different color schemes you can choose from. It is one of the best of its kind. 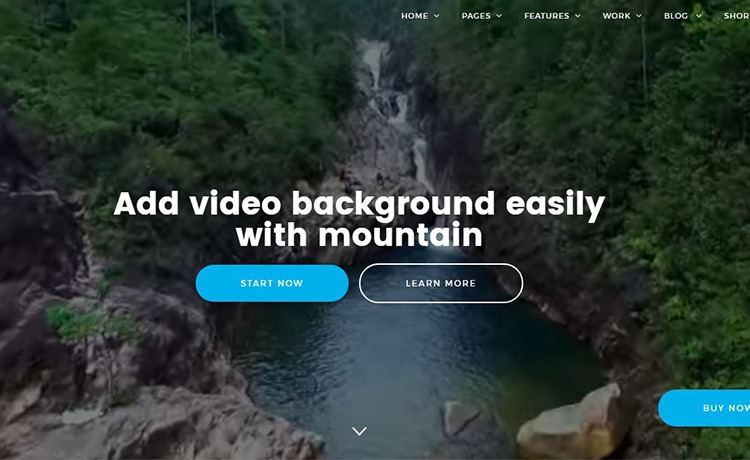 Atlas is a Free HTML5 Bootstrap Video Background Template from Sumit team and has three header versions – image slider, youtube video slider and custom video slider. It is a one page template with clean and unique design. It is perfectly suitable for business websites. But it also can be used for other site pages too. It has a count up timer to share fun facts and services. It also comes with a pichart integrated progress bar. Coming soon is a website construction page HTML5 Bootstrap Video Background Template by the Bootstrapious team. It has two layout variants you can choose from the left side menu button. One is a full-screen image background and other is video background. There also is a subscription form attached to this template. It is prefect for a fine coming soon website. 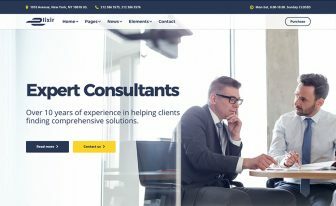 If you are looking for a powerful, responsive, multi-purpose premium corporate agency HTML5 Bootstrap Video Background Template REIGN PRO is the one to go for your next project! No matter whatever website you have intended to design, whether it is a Business, Blog, Agency, Restaurant, App Showcase or anything else, REIGN PRO does the trick for you. It comes with both one page and multi-page layout with 10 background header styles for each layout. It has two video background features. One is full screen and one is the classic layout. It is a premium HTML5 website template by Themewagon team. This template also has a WordPress version Reign Lite which is free. You can collect it too if you ever need a WordPress site. This version also comes with video background feature. 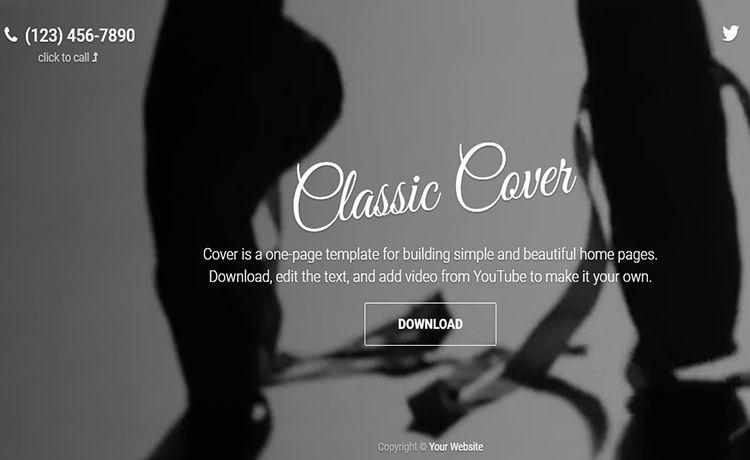 Classic Cover – an HTML5 Bootstrap Video Background Template for building simple and beautiful websites. It is a one page template by Bootstrap Zero. It is an open source template which is device-agonist, a modern responsive design which is customizable. It has been designed to work well on desktops, mobiles, tabs, iPad. 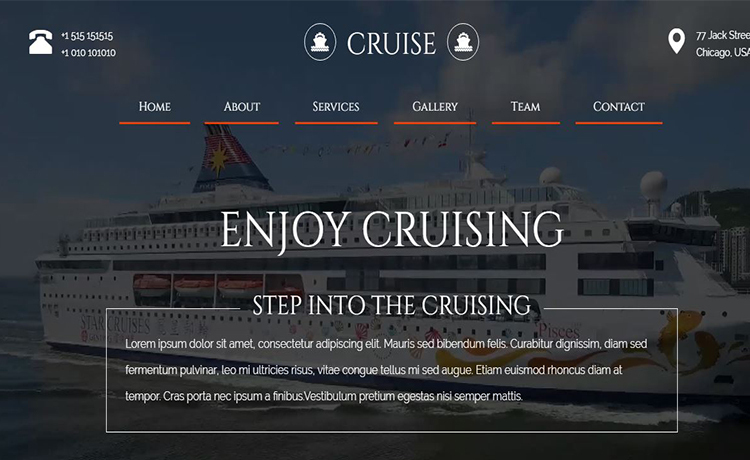 Cruise – HTML5 Bootstrap Video Background Template is a simple responsive template designed for the travel agency, especially for cruise businesses or cruise travel agency related websites. It’s a perfect choice for all services correlated such sites as cruise travel packages, cruise trips, luxury cruise lines and much more. It has an eye-catching video background and a smooth scrolling effect with parallax effects. Boston is an HTML5 Bootstrap Video Background Template for startup enterprise. 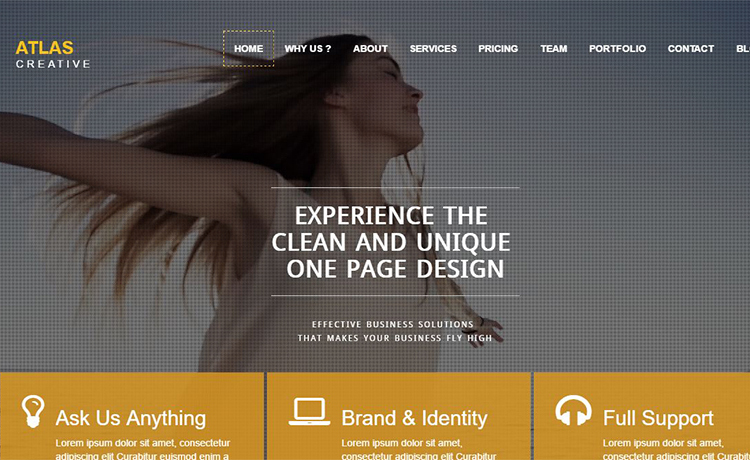 It is an agency website template which is another premium one by Themewagon team. This template comes with a one page layout which is the latest trend. It is fully responsive and has an elegant design. It has a count up timer, smooth scroll, font awesome icons and has a video instruction. It is a solution to the big problem. 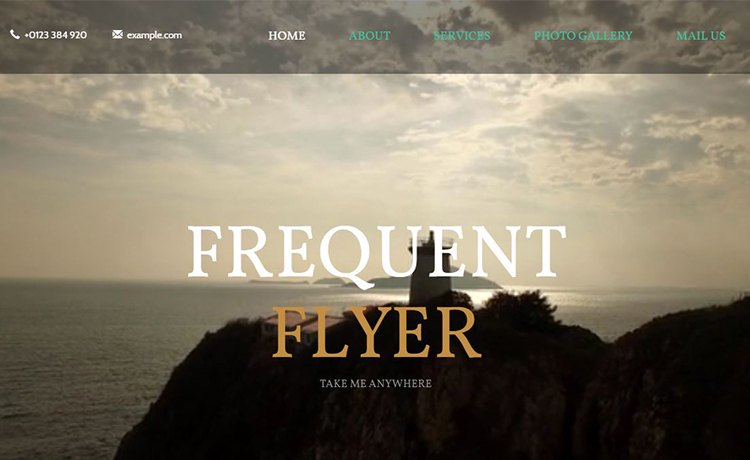 Frequent Flyer is a free travel agency HTML5 Bootstrap Video Background Template. And, it comes with the sections that help you to deploy a website like a tour guide, travel planner agency, etc. It those elements which are the basis for a travel related website. For the Bootstrap grid system, it has 100% responsive layout. It is very easy to customize due to its well-documentation. Travelo is a professional travel category HTML5 Bootstrap Video Background Template for travel agencies and tourist planners websites. 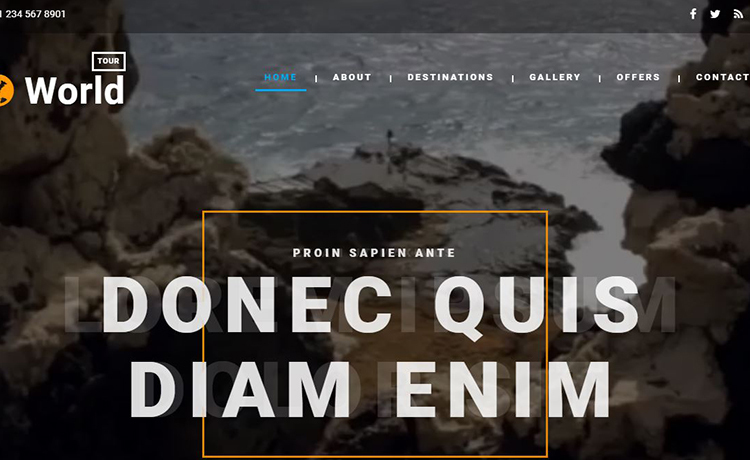 You can use this HTML5 free web template for any travel website. The Bootstrap framework powers this template. So, Travelo is compatible with all web browsers, smartphones, and tablets. 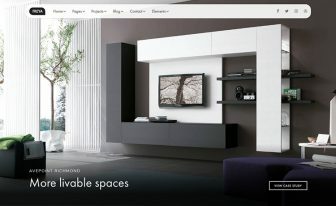 It is designed with a brilliant color scheme and good grid style of elements. This single page cross-browser compatible responsive template could be the best choice for any travel website, be it Domestic or International. Download, Share and have fun! Prodigy is another nicely crafted premium HTML5 Bootstrap Video Background Template by Themewagon. It has two versions – light version and dark version. You can choose one according to your choice. There are 5 background variants for available for each version. The exclusive background variants are static, slider, cloud animation, smoke animation and our region of interest, video background. This is a one page premium template. It’s clean and subtle and perfect. 404 page is a HTML5 Bootstrap Video Background Template by FreeHTML5 team. It is an open source template. 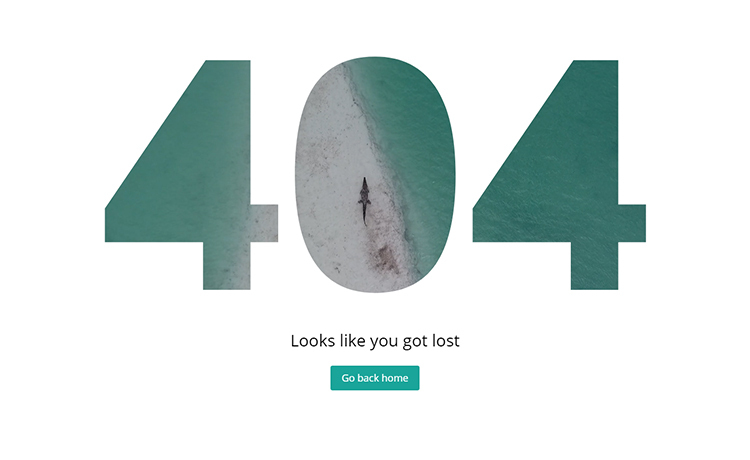 Make an interesting and lively 404 page when your users got lost in your site with this 404 Page With Video Background Free HTML5 Bootstrap Template. 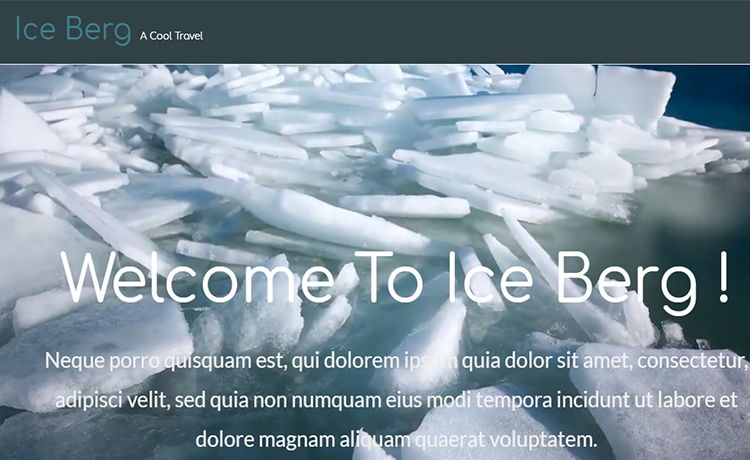 Ice berg is a free HTML5 Bootstrap Video Background Template designed by W3layouts. It is a Travel Guide flat Bootstrap template which is clean and simple and comes with video background. This HTML5 CSS3 free web template could be used for any Travel websites like Cleartrip, MakeMyTrip, Expedia, Travelguru and much more. This multiple pages video background travel web template is built in a Fancy style however it can be customized as per the user requirements. 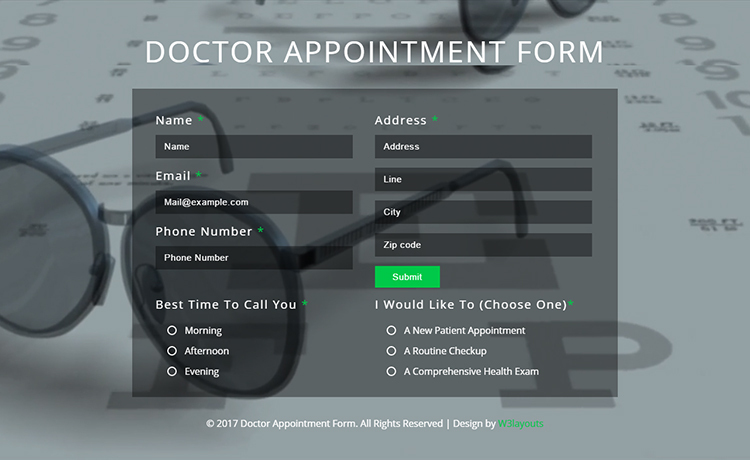 Doctor Appointment is a widget HTML5 Bootstrap Video Background Template for making an appointment website. 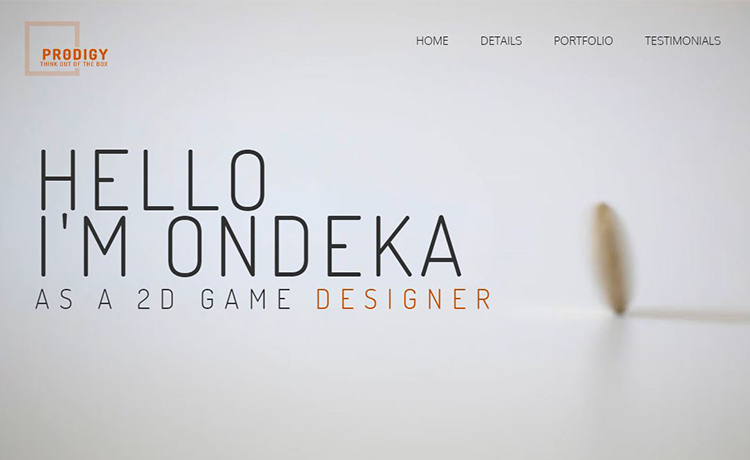 It is a one page template designed by W3layouts. It is a creatively designed appointment form. It can be used by doctors, dentists, hospitals, health clinics, surgeons, gynecologist, health and medical related organizations, Building Services, Architecture, Engineering, Cleaning Service, Construction, Maid, Maintenance, Painting and Decorating, Refurbishment, Partitions & Ceilings, Plastering & Rendering, Carpentry & Joinery, Furniture, Flooring, Plumbing, Consultation, Dentist and Nurses, Gynecology, Cardiology, Dental hospitals, medical laboratory, veterinary clinic, spa, gym, pharmacy, health care professionals, ophthalmologist, veterinarian, physiotherapist, psychiatrist, psychologist and much more. It comes with a video background layout on which the main form content is beautifully crafted on an eye-catching transparent color background. Here is another HTML5 Bootstrap Video Background Template by W3layouts. 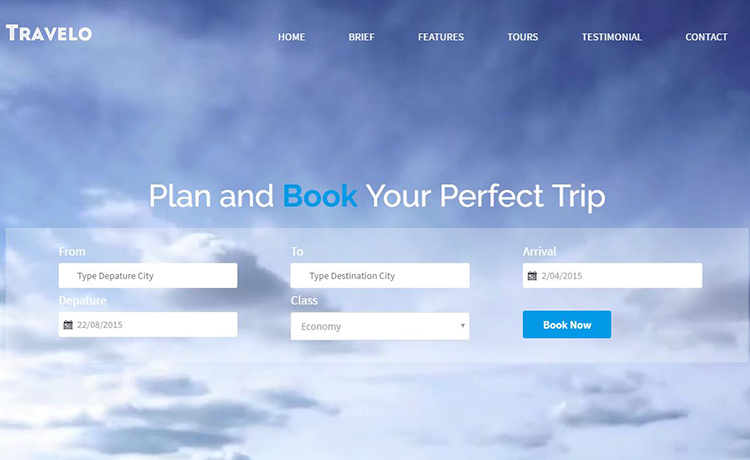 It is World Tour – the best solution for all your travel related websites to boost your profits and expand your business via online by using this smart and elegantly designed template. 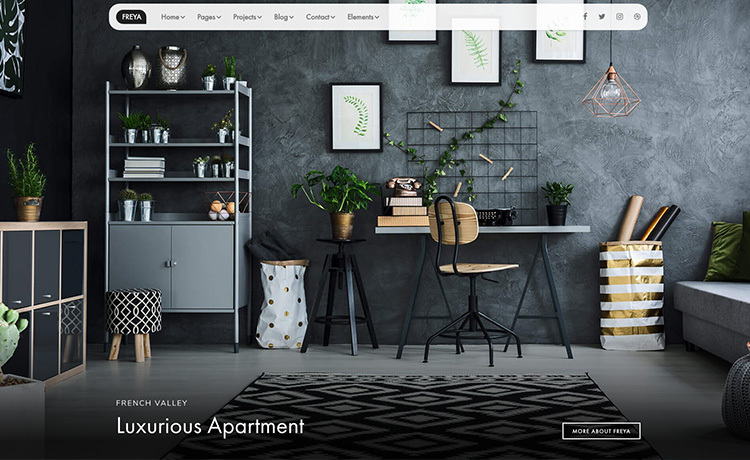 This modern and creatively designed template is also a perfect choice for all your websites like hotels, resorts, package tours, events, honeymoon, cruise, travel agency, tour operator, adventure shops, medical tours, retreats, wellness and spa travelers, lifestyle, Web Agency, Restaurants, Music, Automotive, Motels, Leisure Parks, Catering Services, Fast Food Chains, Food Trucks, car rental, flight, lodge, club, adventure parks, vacation tours, outdoor travel activities, caravan park, tent, campsite bungalow, camping, cottages, campground, motorhome, mountain sports, hiking, kayaks, biking, excursions activities, jungle safaris, summer tours, winter tours, airline, accommodation and much more. So, You choose which one to pick for your perfect website with video background. All of these HTML5 Bootstrap Video Background Template was chosen by best quality. Choose any and go live. You can browse also all premium templates and free responsive templates offered byThemewagon. Thank you dear. We love your appreciation. Beautiful templates. Thank you for sharing.